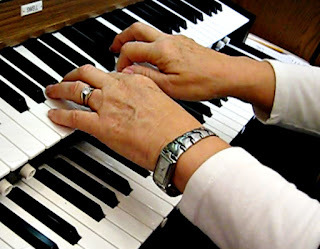 The purpose of this blog is to help pianists learn to become true organists. Many individuals believe that if you play the piano you can play the organ, but the instruments differ greatly. While this blog is specifically geared towards members of The Church of Jesus Christ of Latter-day Saints, much of the information shared can be utilized by all. I hope that the information I share here will help you become an effective organist in your ward, stake, or other congregation. Feel free to browse and search this blog. 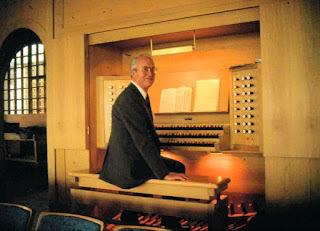 It was started in January 2010 and while new posts aren't added very often, this blog contains a wealth of information and is a wonderful resource for all organists. If you're a new reader, you can find the first lesson here: Before We Begin: Acquiring the Essentials. Also, please "like" the corresponding facebook page, which is updated more often. A link is provided on the right sidebar, or you can click here. I regret to announce that Dr. Parley L. Belnap passed away Wednesday afternoon, Nov. 7, 2018, in the company of his family. Dr. Belnap studied with many notable organists, including Marcel Dupré and Flor Peeters, and taught many notable organists including tabernacle organists Clay Christiansen, Linda Margetts, and Andrew Unsworth, as well as Ryan T. Murphy, the associate music director of the Tabernacle Choir at Temple Square. Michael Ohman, another notable organist and former student shared an interview he had with Parley, which is a wonderful life history that I recommend reading. 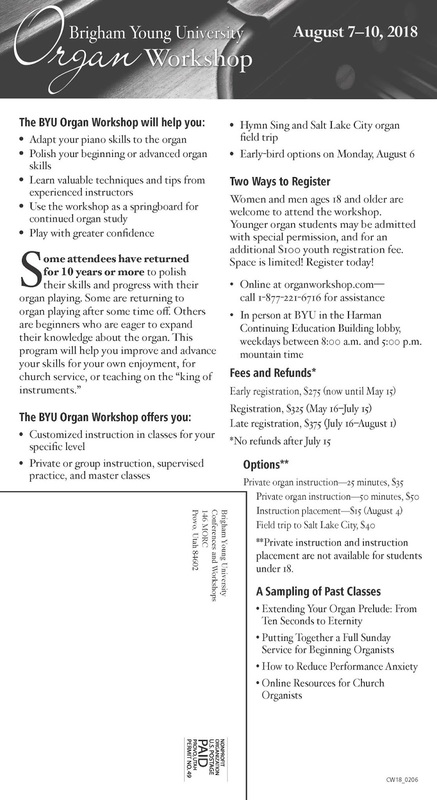 In the words of Dr. Don Cook, "The BYU Organ Program is now enjoying the benefits of Dr. Belnap’s vision. 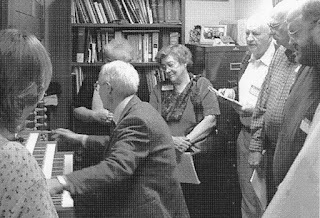 For example, the group organ program with its organ lab and the Independent Study organ courses were his brain children. The wonderfully varied practice organs were designed and installed under his leadership. His Hymn Studies for Organists is still an excellent resource for hymn playing." The Utah Valley Chapter of the American Guild of Organists is presenting a recital in his honor this Saturday, November 10, at 6:00 p.m. in the American Fork East Stake Center, 825 East 500 North, American Fork, UT. As part of this event, tributes from Dr. Belnap's former students have been gathered and will be shared. These tributes will also be made available on the UVAGO website in the near future. 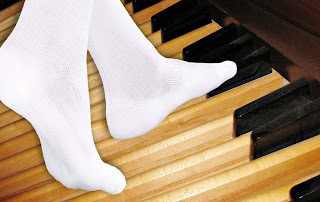 Max Walker, the sub-dean of the Salt Lake Chapter of the American Guild of Organists has shared information on how to obtain white organ shoes for men. I wanted to pass this information on to you, as I know many men end up playing in their stocking feet because they're unable to find white organ shoes. Hi folks. This is for those gentlemen who may be playing chapel organ in LDS temples and wish to have white organ shoes. The same info can be applied to any color organ shoe. Many, many colors are available as noted below. Similar options exist for the women's style shoes, in case you ladies are having trouble finding white (colored) shoes. Organmasters, the go-to source for many organists, doesn't sell the men's Oxford shoe in white and doesn't make it to order. My new friend, Bill Hesterman, pointed me to TicTacToes.com. They sell dance shoes, and have a category of organ shoes. They are the factory, so they will make a shoe in white even if it is not offered on the web site in white; one simply needs to call to ask for what one needs. "Applause." The Applause is like Organmaster's Oxford. It is listed only in black on the web site, but can be made in white (or any of the many colors they offer). Note that the heel will be black regardless. If one finds that unsuitable, but wants that style, one can paint that heel or have the cobbler do it. The toe is slightly more pointed than the Oxford, but not unnaturally so. It's just a nice looking shoe. The heel is the same as the Organmaster Oxford: 1.25". "Cameron." The Cameron is listed under Specialty Organ Shoes. Its heel is made to match, wrapped in the same color leather. This shoe has no shank. Its advantage is the white heel. It looks normal enough viewed straight on. I have a pair on order, but haven't received it yet, so I cannot comment yet on the shankless fit. The Cameron comes with a taller heel than the Applause: a 1.75" "Latin" heel. It can be ordered with a 1.25" heel if you prefer that; simply specify upon ordering. TicTacToes' shoes run true to US sizing. If you're accustomed to Organmaster shoes, do not trust that sizing will match; it will not. Organmasters run short to size, and are more snug. The white shoe is made to order and cannot be returned. If you are skittish about sizing, TicTacToes suggests that you order the shoe in black, which is returnable, confirm sizing, then return the black and order the confirmed size in white. Obviously, you will confirm all of that when you order and won't rely on my account of their policies. Pay attention to heel length. These vary. You can specify what you are accustomed to. Finally, these are not kept in stock and are usually made to order. Plan on extra time to receive your shoes; they suggest 4-6 weeks, but my first pair came at about 3 weeks. It's that time again! I've spoken many times on this wonderful workshop. If there's any way you can go, I highly recommend attending. It's a life-changing experience! 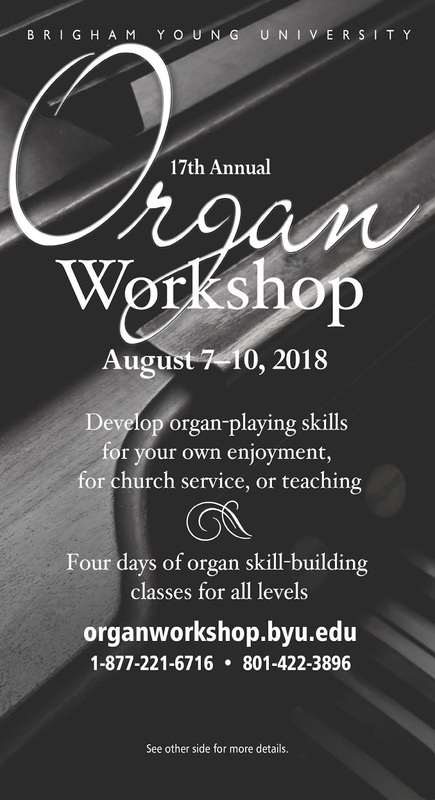 Visit https://organworkshop.byu.edu/ for more information. New Hymnal Announced. Can we get one marked for the organ? I'm sure most, if not all, of my readers are aware that The Church of Jesus Christ of Latter-day Saints has announced that they will be producing a new hymnal and children's songbook. I linked to the article on my facebook page. The church has asked for input via a survey link. Many of you are aware that Carol Dean created a trial version of the hymnal, meticulously marked for organ, that she worked on perfecting and tweaking until she passed away earlier this month. I have been tasked with furthering her work. With this announcement, can you think how wonderful it would be if the Church would publish an organ version of the hymnal? I can't believe how many members of the church contact me every week requesting Carol's markings, and most of you found out about it through word of mouth! There appears to be a huge need for a hymnal of this type. I think a hymnal marked for organ, and a simplified hymnal for organists would be a very much needed addition to the church's publications. If you agree please fill out the above survey and either under the "general difficulties experienced" or "other feedback" fields, state how difficult it is as a pianist to play the organ without markings, or request a hymnal with organ markings. 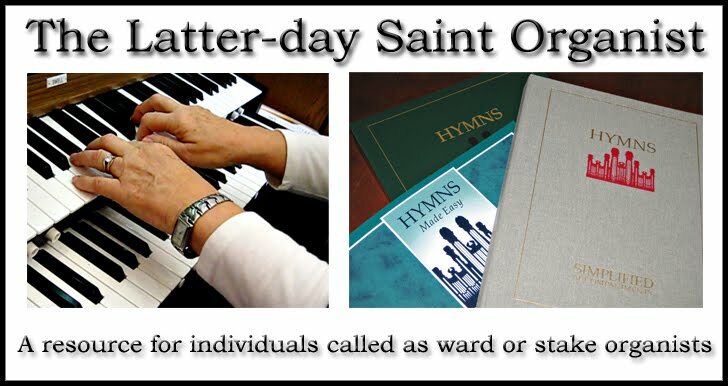 If enough survey takers request a version of the hymnal with organ markings, the church might make one available! Carol Dean passed from this life into the next this morning. In 2013 Carol said, "I know there are pipe organs in heaven, because I wouldn't be happy there if there weren't." Funeral services will be held this Friday, June 8th at the Pioneer 2nd Ward Chapel, 1220 W. 450 N. Provo, UT, with the viewing at 9:30 a.m. and Funeral Service at 11:00. If you'd like to share your memories of Carol here, I will pass them on to her family. Carol Deanne Peine Dean, 70, of Provo, Utah, passed away from ovarian cancer June 5. Born November 4, 1947, in Durango, LaPlata County, Colorado, she was the daughter of M. Milton Peine and Mildred Dean Peine. Growing up in a farm town with five brothers Carol learned how to work hard. Carol loved riding horses and even just being around them. Carol attended schools in Redmesa, CO, Durango, CO, and Brigham Young University, Provo, UT. At BYU in 1970, she earned a Bachelor of Science degree as an Executive Assistant major in the Business Department. In 1998, she received a Master of Music degree in Organ Performance and Pedagogy. Carol taught organ workshops and group and private organ lessons in Utah Valley for thirty years. Carol was a lifelong devoted member of The Church of Jesus Christ of Latter-day Saints. She fulfilled many callings in the church her favorite being the organist for the Pioneer 2nd ward. Carol was a very talented organist. She played for numerous recitals and musical events for many years. 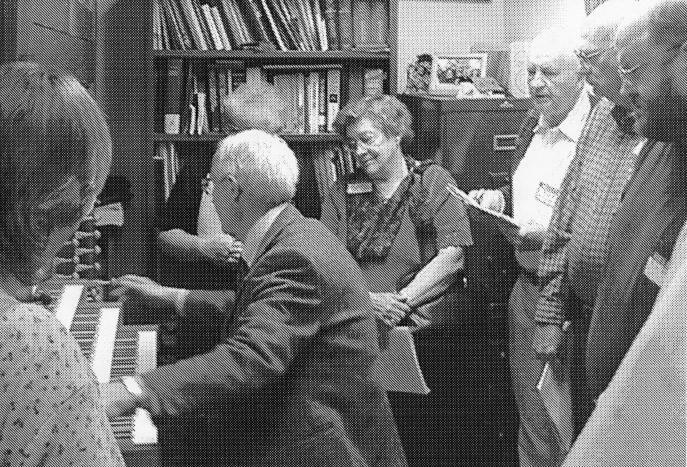 Carol had a very special place in her heart for her organ students and peers. Carol married Dana D. Dean on November 21, 1970, in the Manti LDS Temple in Manti, UT. They had many adventures together traveling for Dana’s career. They were blessed with eight children. Carol is preceded in death by her sweetheart, Dana; her oldest daughter, Randilyn “Randi”; and two brothers Dean Peine of Weiser, ID and Robert Peine of Pleasant Grove, UT. Carol is survived by her son Dallin (Robyn) of Sandy, UT; son Rhett (Lisa) of Lehi, UT; daughter Danae’ of Snoqualmie, WA; son Robert of Draper, UT; daughter McKenna of Provo, UT; daughter Menolli (Brian) Quick of Saratoga Springs, UT; son Jonathon (Taylor) of Las Vegas, NV; and her Indian-placement daughter Tina (Cornell) Benally of Mesa, AZ. She is also survived by her 19 grandchildren. Carol’s surviving siblings are Russell (Connie) Peine of Leeds, UT; Craig Peine of Prairieville, LA; and Kirk (Sharon) Peine, of Redmesa, CO. and her two sisters-in law, (Marlene Peine) of Weiser, ID and (Melanie Peine) of Pleasant Grove. Funeral services will be held at 11:00 a.m., Friday, June 8, 2018 at the Provo Central Stake Center, 450 North 1220 West, Provo, Utah. Friends may call from 9:30-10:45 a.m. prior to services. Interment, Provo City Cemetery. I just finished playing for my 3rd Stake Conference this weekend. I had practiced everyday for over three months. I knew the songs well and felt much more confident in my pedaling. I was pretty calm on Saturday Night's meeting but on Sunday, I felt more anxiety at the amount of people and of course hands and legs stiffen with anxiety and I really had to concentrate to keep things going. I was able to cover okay, yet I was so disappointed because I had prepared so well. When I received the call the size of the crowd was the biggest intimidation to me. I have played the piano for years and accompanied a lot of groups, yet the organ is new, I have felt less in control of sounds and adjustments, therefore, I am nervous of making mistakes and that brings about the anxiety. Have you ever experienced this or have any suggestions on how to work it out? This past two weeks I have been listening to talks on overcoming fear and having faith and done all I could think of to prepare. I know I did okay, but I was wiped out when I was finished just dealing with my stress. I hope to learn a little more on how other organists might prepare to overcome this type of fear or stress, so I can deal better with the next conference. Have any of you felt this way? I certainly have! I'll share some ideas here on what I do to work through anxiety, but I'd love to hear from my readers as well! 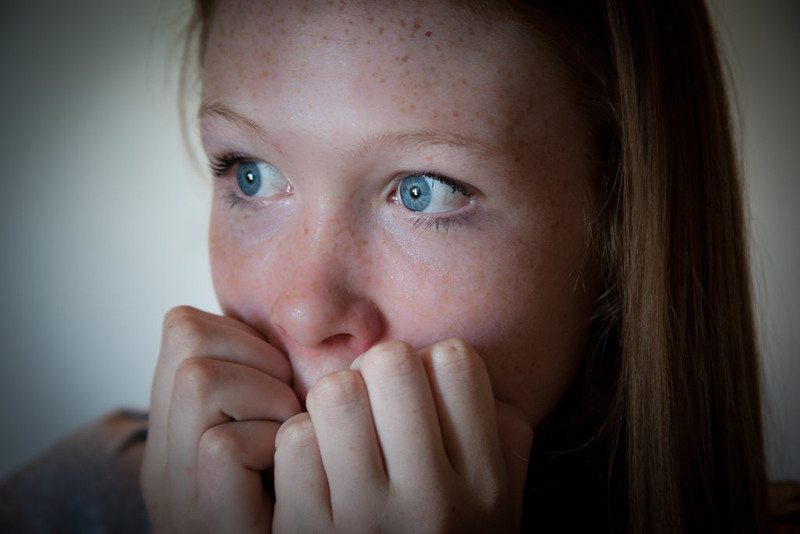 Recognize that your body doesn't know the difference between fear and excitement. When you start to feel those nerves kicking in, tell yourself that you're really excited to be able to play: Either because you have a really cool registration, or you can't wait for the congregation to be able to be united as one voice, etc. Try to turn that potentially scary emotion into a positive one. Play in front of people more often. This is a difficult one, as in our church playing the organ is something we can't really do unless we're called. 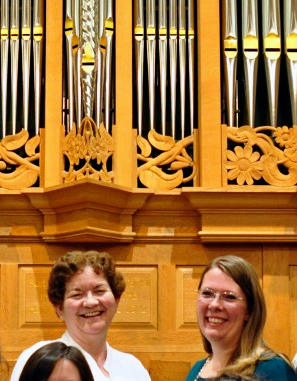 You can get involved in your local chapter of the American Guild of Organists, or see if you can be a volunteer temple organist on a regular or semi-regular basis (if your local temple has organists, and is close enough for you to serve there). Playing in the temple every other week helped me more than anything else! When your brain starts playing head-games with you, shut it down by saying, "I don't care!" I learned this one from tabernacle organist Andrew Unsworth. "I don't care!" saved me when I took my CAGO exam. Cut yourself some slack. It doesn't have to be perfect! There was only one perfect person to walk the earth, and it's not you. Making mistakes is okay! Figure out what you're the most nervous about, and see what you can do to circumvent that issue. It can be simplifying your first hymn introduction by beginning with the melody in octaves, or with just the melody stepping into the other parts. Shrug off mistakes. Mistakes happen, but don't let them derail you. Don't give them any room in your brain. Always look forwards, never backwards when you're playing. Worrying about your upcoming "performance" will make your anxiety grow. Now that you've learned some great coping techniques, try not to stress as the date comes nearer. I know that's hard to do! Also, don't just prepare for that one huge event, play and learn other pieces, too, and intersperse them as you practice to take some of the pressure off. Trust your preparation. I'm sure you're heard the saying, “When the time for decision arrives, the time for preparation is past.” Well, when the time to play the organ has arrived, your preparation is over. TRUST YOURSELF. The Inner Game of Music is a great resource. I read it a long time ago, so I don't remember much about it, but it's definitely worth a read. So, my faithful readers: What do you do when your nerves kick up? Do you have any great suggestions to share? Okay, once again this isn't a true Sunday Song. 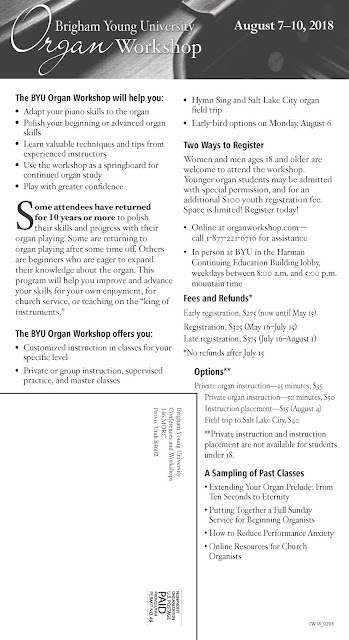 Here's another oldie but goodie organ resource from the LDS Church. It was actually a filmstrip--do you remember those? I loved it when I was chosen to advance the frames! Have a question or comment? I read every comment that's posted, or you can contact me via email at ldsorganistblog at gmail dot com. My name is Jennifer, and I am the mom to six little ones. The flute was my instrument throughout my youth. 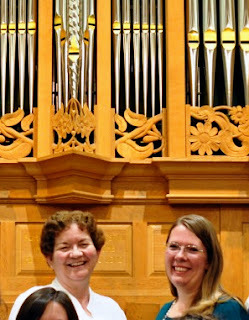 As a music education major I took a semester of group organ at BYU with Carol Dean. Two years later I was called as ward organist in her stake and again studied with her during that year. I dabbled on the organ for a number of years after that, but started studying the organ seriously again in August 2010 and have made great progress. At the end of 2009 I realized that there are very few resources out there for pianists who are called to play the organ and wanted to help fill that gap, so this blog was born in January 2010. I hope you find it helpful! Shopping through this link helps support this blog. Thank you!